"I can't tell you how many times I've been asked about this church." Humanity has a lot of enemies, so of which aren't even necessarily visible. Diseases, illness, viruses...these are all threats to our existence that cares little for our intelligence or strength as a species. What if one of those enemies had an element of the supernatural mixed in as well? Would we be completely screwed? BOOM! 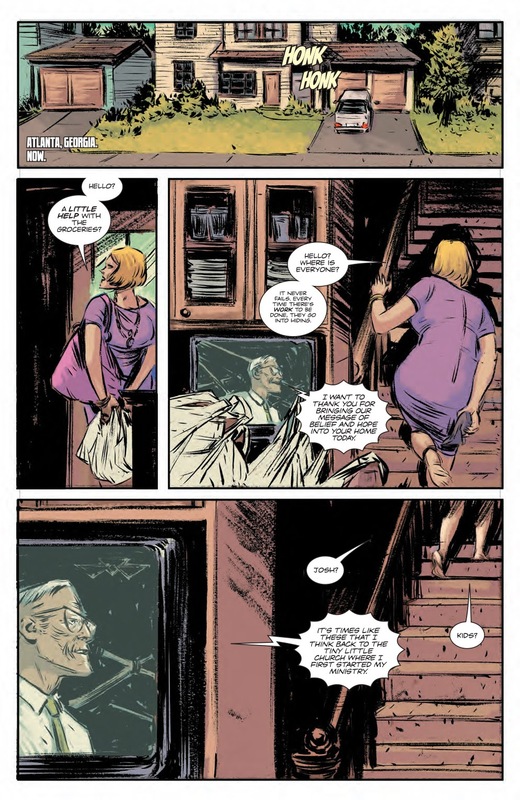 Studios seeks to find out in The Empty Man #1, written by Cullen Bunn, illustrated by Vanesa R. Del Rey, colored by Michael Garland and lettered by Ed Dukeshire. It’s been one year since the first reported case of the Empty Man disease and no drug has been able to slow its progress. The cause is unknown and the symptoms include fits of rage, hideous hallucinations, suicidal dementia, followed by death, or a near lifeless, “empty” state of catatonia. 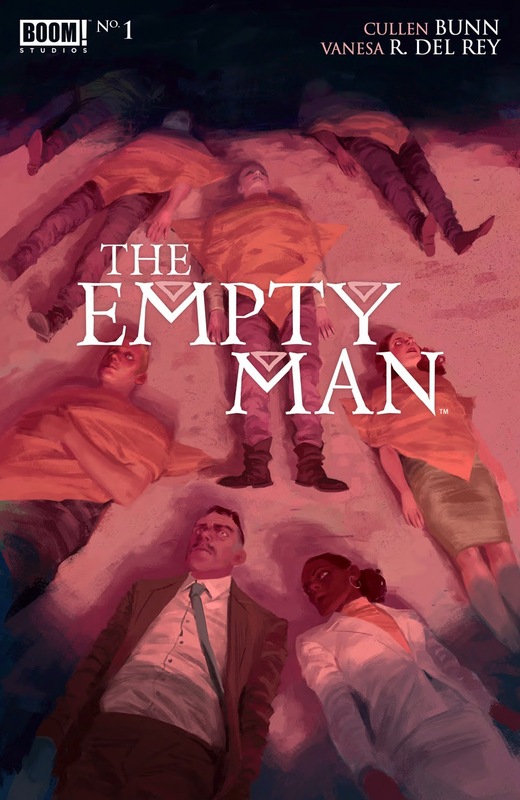 As murder cults rise nationwide, the FBI and CDC enter a joint investigation of the Empty Man, hoping to piece together clues to stop the cult and uncover a cure. Whenever you mix religion with the south, the results typically are a little eerie. 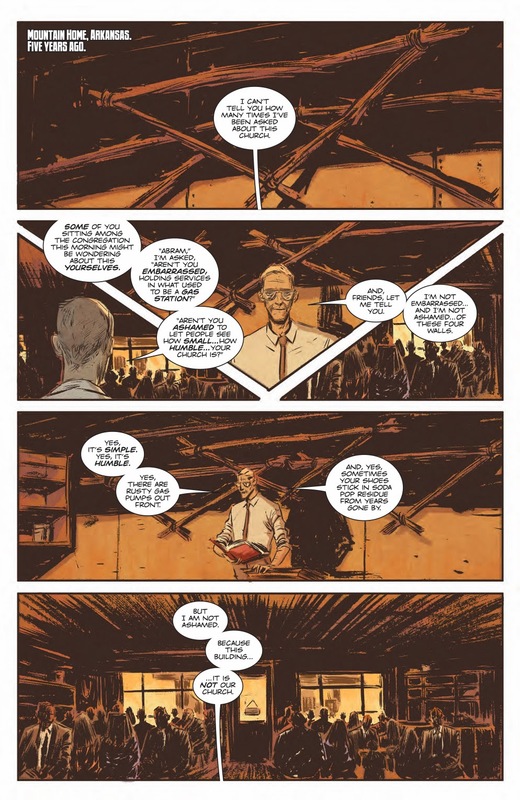 The thing about The Empty Man #1 is that there seems to be more of a possible cross-section between religion and viral outbreak. Bunn successfully infuses the tale with equal parts both, but there are hints that the outbreak may be something more sinister and unexplainable than just a virus. The two lead detectives (Special Agents Jensen and Langford) offer a pretty great rapport with one another that addresses some of the theories as to what exactly is causing the rash of strange behavior attributed to Empty Man. Their dialogue moves the story along while simultaneously delving deeper into the mystery of the rather violent deaths. 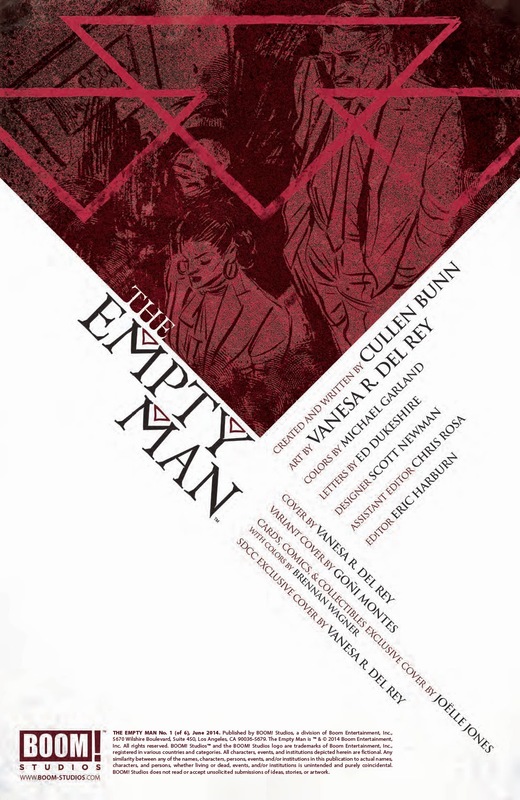 The Empty Man #1 doesn't pull any punches artistically, with the full brutality of the Empty Man on display repeatedly. In this regard, Del Rey does a fantastic job with her gritty style that feels perfectly appropriate. There are some panels where the action looks a little muddled and it's somewhat difficult to discern what exactly is going on. Still, there are other panels that feel almost like pin-up pieces, showing off a pretty wide approach. She uses a lot of cross-hatching to accomplish the severity of injury inflicted by Empty Man, further reinforcing the notion that it's something not yet completely understood. Garland's coloring only furthers that severity, as he relies on darker colors and an abundance of reds and blacks throughout to convey the danger inherent in Empty Man. It would be easy to make The Empty Man #1 just another book about a massive viral outbreak, but it's more than that. 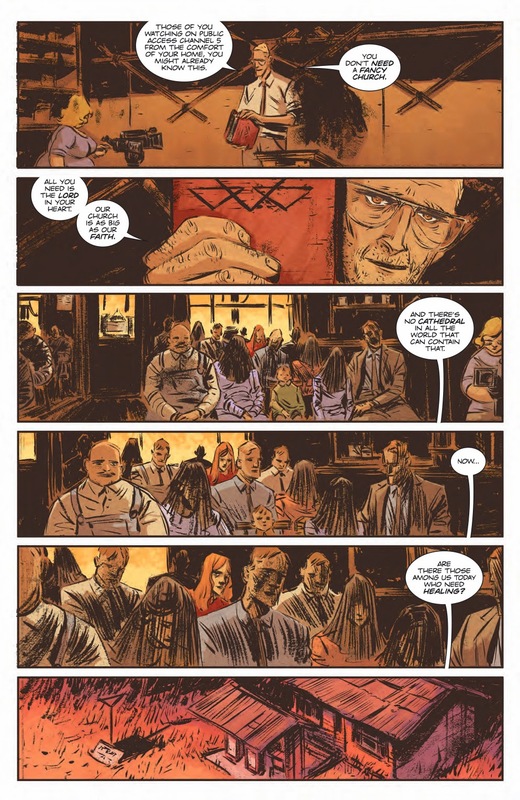 Couching the fear of disease with the fear invoked by religion is a very powerful alternative in storytelling that makes The Empty Man #1 feel creepy. 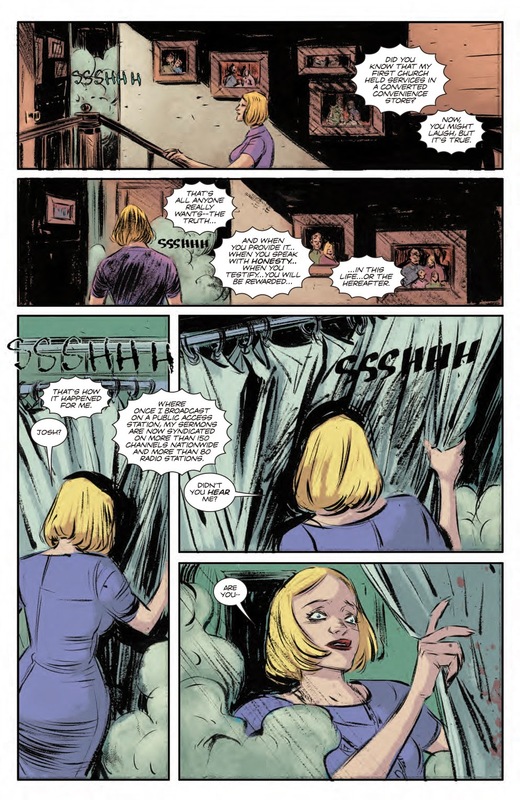 Bunn's tale doesn't rely on supernatural elements on its surface to carry the chills and the interplay between the two empirical agents when faced with something they don't understand is pretty powerful. Del Rey's illustrations are a great match for the content as well, presenting characters who are clearly affected by Empty Man, both physically and emotionally. 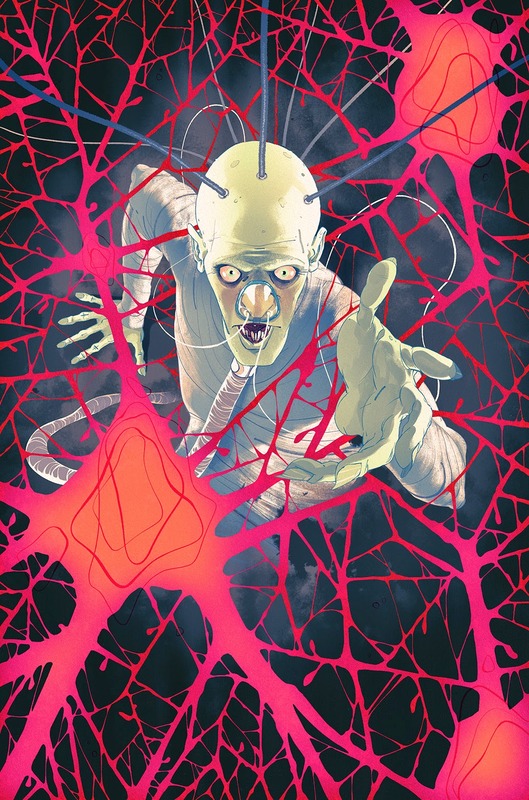 The Empty Man #1 is a promising first issue in what could be an intriguing series, depending on where the religion angle ends up. 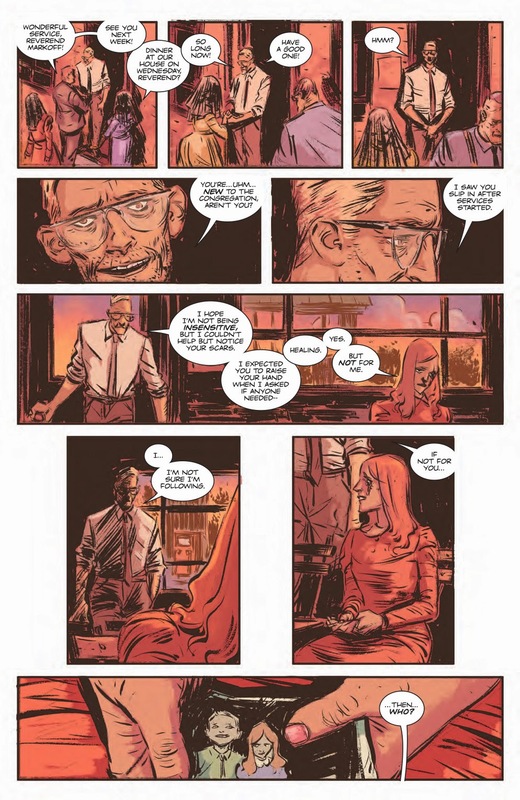 The Empty Man #1 is in stores June 11 with interiors below.